Eek I'm taking a while on these! Sorry for the delay, if anyone has been eagerly awaiting these. Even though it's been a while, I want to make sure I get these all down so that I have a log of the trip. 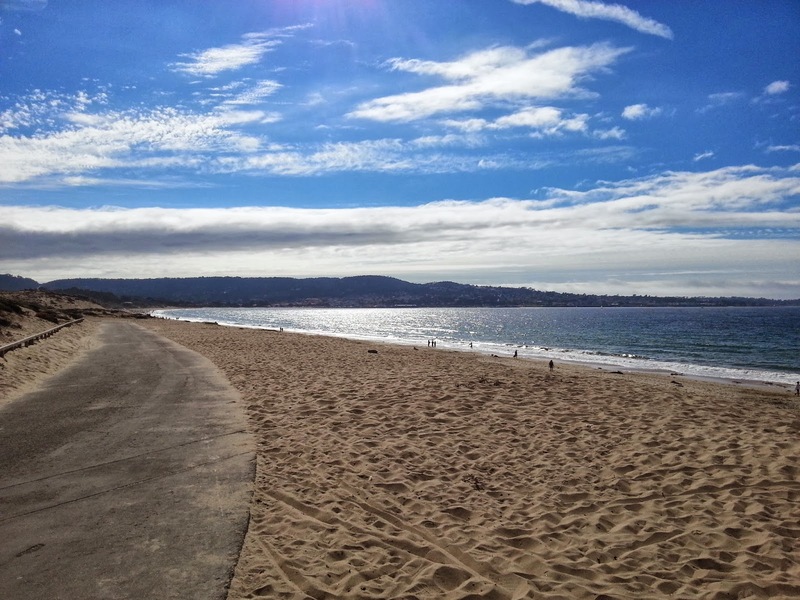 Anyway, here are some details on the Monterey and Pacific Coast Highway legs of my trip! Katie and I hit a ton of traffic leaving San Francisco since it was Sunday of Labor Day Weekend, so as soon as we got to Monterey, I dropped her off at the Monterey Aquarium and headed out for a long run along the gorgeous beachside path. 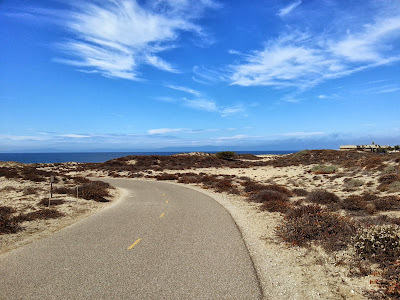 There were quite a few large hills to get over the sand dunes and onto the beach path, after I left the main downtown area of Monterey, but the views more than made up for the hills! Unfortunately, my hamstring started hurting around mile 11, and continued to get worse, so I threw in the towel at mile 12.75. The hamstring got better after that, but it was an inkling of the hamstring issues to come weeks later! 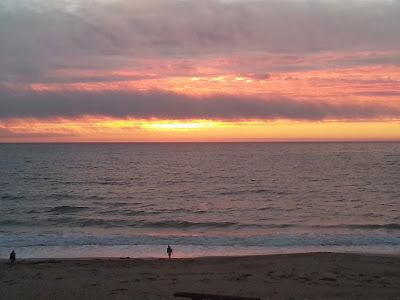 Thankfully, I had a gorgeous sunset and fantastic Mexican food to make me feel better. Katie and I ate at Mariscos Puerto Nuevo in Seaside, close to Monterey. It was truly fantastic Mexican food. Crazy fresh tasting ceviche for $3.95? Yes. I continue to dream about this place. I also had a wet burrito that was delicious, and Katie had a really great posole (goat stew). I didn't taste it, but it smelled amazing, and she raved about it. Monday morning we headed down the Pacific Coast Highway bright and early, knowing we had a long day of driving ahead of us (about 350 miles from Monterey to LA). The weather was slightly overcast, but it would have to be pouring rain for this drive not to be stunning. 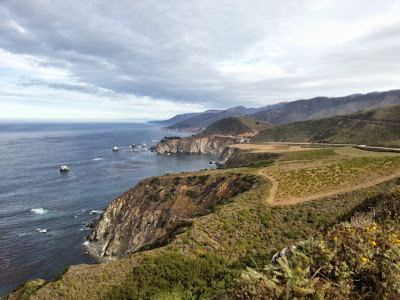 Big Sur and the surrounding area is gorgeous, with steep drops to the sea from the Santa Lucia Mountains. Once you get off the windiest parts of the highway and get close to San Simeon, there's a pulloff to see elephant seals. This picture doesn't capture how awesome they are, but this YouTube video conveys it a bit better. 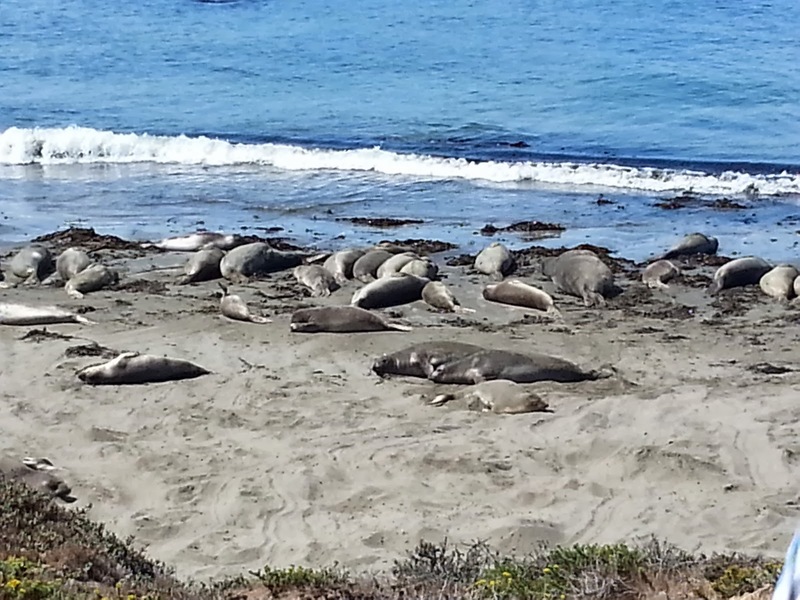 Elephant seals were expected in California. But we were NOT expecting what we saw a few minutes down the road. Zebras!! It turns out that Hearst Castle, the giant mansion of William Randolph Hearst, used to have a wildlife sanctuary. Most of the animals are gone now, though, leaving just the zebras to roam the fields of San Simeon, California. The rest of the drive took us down to Los Angeles, but it's really not anywhere near as spectacular as the Big Sur region. I'd recommend just cutting over to Highway 1 at San Simeon and only driving up it from there, if you plan to take a trip through California. I've done it both ways now, and I think the Big Sur area is the main part worth seeing. So... what's the most random animal you've ever seen? Ahhh I'm so envious...sooo beautiful!! I really wish I could travel more. Or move out there, haha. So glad you had a good time! Wow! That is beautiful. 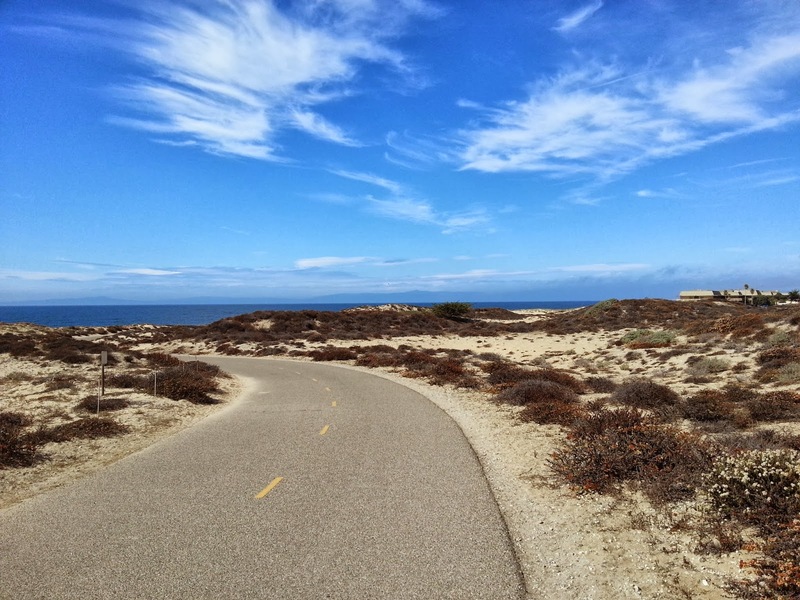 What a great view on your run. I also think about that Mexican place a lot. Like. A lot. My beer came with a shrimp!! 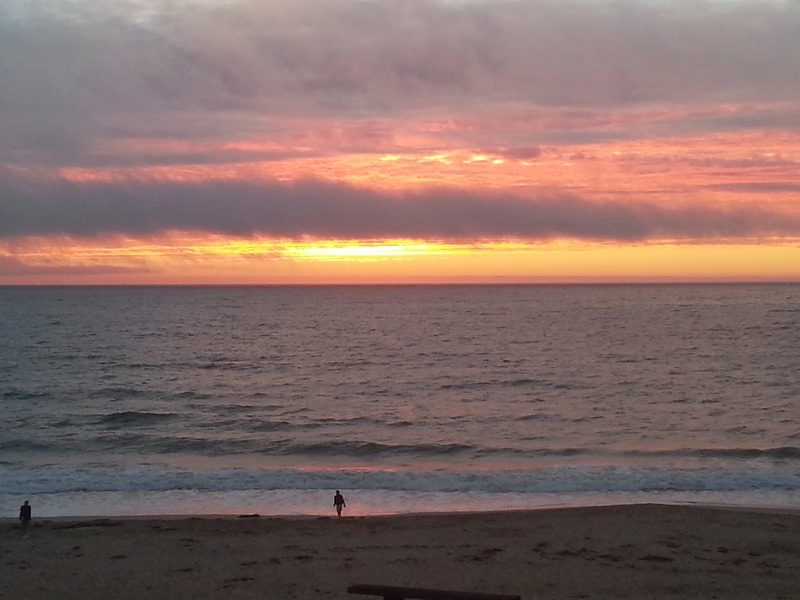 I drove down Pacific Coast Highway from San Fran last year and it is BEAUTIFUL. 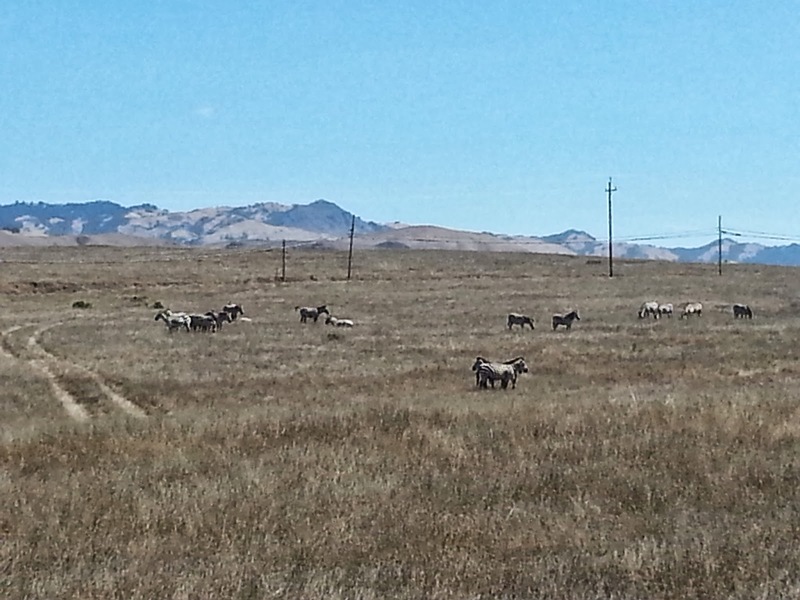 I didn't get to go past Monterey though, but hear San Simeon is a great place to check out. This post just made me really want to go back! It's gorgeous there! You must go from San Fran to San Simeon!